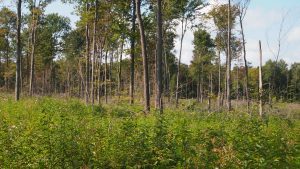 In December 2017, Wildlands Conservancy permanently protected 72 acres of woodlands and wetlands situated in Tobyhanna Township, Monroe County. 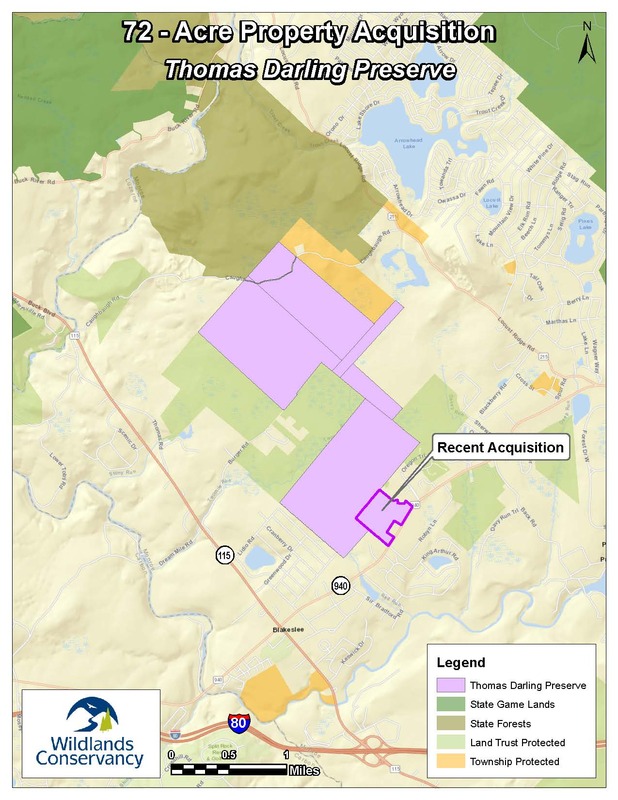 The acquired acreage expands Wildlands’ 1,300-acre Thomas Darling Preserve at Two Mile Run along Route 940 in Blakeslee. This acquisition permanently preserves the forests and streams that are critical to the sustained health of the Lehigh River watershed, and, ultimately, the irreplaceable, natural resource that is the Lehigh River. Additionally, it protects critical wildlife habitat, provides essential connectivity between adjacent existing natural areas and it forwards the land trust’s plans for public access along Route 940. View a map of the new acquisition. Wildlands will next forward plans to expand Thomas Darling’s existing trail networks to a newly established trailhead and parking lot area on the recently purchased parcel. Wildlands acknowledges the support of our giving community, especially the Pennsylvania Department of Conservation and Natural Resources, Monroe County, the Open Space Institute and private donations through Pocono Lake Preserve for providing funding for the purchase of these 72 acres.